Tsim Sha Tsui is one of the true places where East-meet-West. One could describe it as a tourist hotspot, evolving to a cosmopolitan shopping and dining hub. Still you are able to trace, find and discover Hong Kong's historic heritage and past. Simply walk along the Tsim Sha Tsui districts towards Victoria Harbour. Maybe you can find out why Hong Kong is also referred to as the Fragrant Harbour. 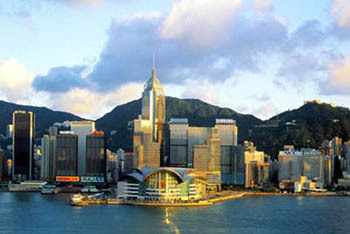 One reason for Tsim Sha Tsui popularity is its vicinity to Victoria Harbour. Visitors and locals love to stroll along the Avenue of Stars (make sure to visit the Bruce Lee statue and the newly-opened McDull statue). Many of Hong Kong's top museums and preformance venues including Hong Kong Museum of Art, Hong Kong Space Museum, Hong Kong Museum of History, Hong Kong Science Museum as well as the Hing Kong Cultural Centre are all located in Tsim Sha Tsui.